The band comes from Wien, Austria. They formed in 1991. 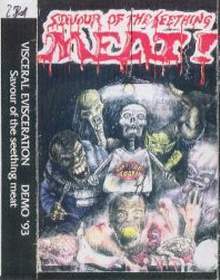 Visceral Evisceration debuted with the 1993 demo cassette 'Savour Of Seething Meat'. 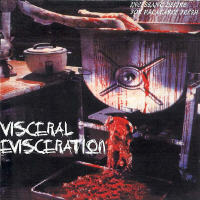 In 1994, Napalm Records releases their first full-length album 'Incessant Desire For Palatable Flesh'. It consists of slow epic doom-metal with clean male and female vocals (classical and normal) and grunts. Perhaps due to the grindcore influence the tempo sometimes picks up a bit and makes this truly a odd one out in the entire doom genre. In 1995, after leaving Napalm Records, they changed their name to As I Lay Dying and released a 2-song promo. The band split up soon after.